Buy the purest and most concentrated kava kava root extracts available from the trusted supplier for over 20 YEARS. 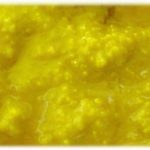 This very special golden paste is simply the most powerfully concentrated and purest kava kava extract available anywhere. 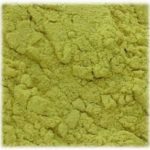 Purified to a highly pure golden paste of the maximum possible concentration of kavalactones from kava kava, this product is MANY TIMES the concentration of plain kava root. However, it still contains the same broad range of kavalactones as is found in the fresh, whole, unprocessed kava kava root itself. This super-concentrate is made exclusively from a mix of root and rhizome from four strains of kava from Vanuatu, Melanesia that are considered to be the very best by experts in Vanuatu. Only material from plants 7 years of age or older and grown without pesticides, herbicides, or chemical fertilizers is used. This formulation comes as a soft paste (a kava preparation this concentrated cannot be in any form but a paste). Produced by a powerful but gentle solvent-free low temperature super-critical carbon dioxide extraction which gives the advantages of a very pure final product with zero solvent residues, a very distinct and strong kava kava aroma, and absolute maximum kavalactone content, verified by HPLC analysis. This standardized, water-soluble extract contains a minimum of 30% kavalactones, made up of the same broad mix of different kavalactones as found in the unprocessed root itself. The extract is made exclusively from roots 7 years of age or older, expertly grown without pesticides/herbicides in the mountains of Vanuatu, Melanesia - home of the world's finest kava cultivars. Inferior extracts are made from stems and peelings, which have a different mix of kavalactones compared to the roots.